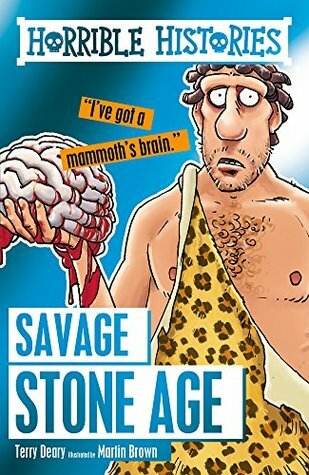 Readers can discover all the facts about the Savage Stone Age including what they used instead of toilet paper, why a hole in the skull is good for headaches and how to make a Stone Age mummy. I remember the first time I read a Horrible Histories book, it was actually about Ancient Egypt. I loved it then, it was history, but the real history. Things you don’t normally hear about because of how gruesome it is. Reading it now as an adult, I still love it. I’m obsessed with history, and it feels like there is always something new to learn. I cannot wait for my children to read these books. Savage Stone Age is a fascinating insight into what “humans” did back in the Stone Age. I also learned what people today think and do with artefacts from that time period. What I learned most of all, we humans love to destroy things that have been around for thousands of years because of our stupidity. At the end of the book is a quiz, to see if you were really paying attention. Not only do I think this is great for young people, but for everyone. Easy to read, a book for all ages. If you love the TV Show, then you are going to love this.